Prior research has established the existence of a differential between industrialized and other countries for e-Government diffusion. It attempts to explain this divide by identifying economic and technical variables. At the same time, the role of national governance institutions in e-Government diffusion has been relatively under-theorized and under-studied. The authors posit that, the existing national governance institutions shape the diffusion and assimilation of e-Government in any country via associated institutions in three key sectors: government, private sector and non-governmental organizations. This paper develops and tests a preliminary model of e-Government diffusion using the governance institutional climate as represented via democratic practices, transparency of private sector corporate governance, corruption perception, and the free press. The results indicate that the level of development of national governance institutions can explain the level of e-Government diffusion over and above economic and technical variables. The authors’ research contributes to the literature by providing initial evidence that the existing national governance institutions influence and shape e-Gov diffusion and assimilation beyond the adoption stage. Electronic government1 (e-Gov) researchers have found that in some countries the focal systems are being assimilated at a much slower rate than their initial adoption would have implied (Mayer-Schönberger & Lazer, 2007). These countries have yet to embed the underlying systems in their government operations. As a result, these nations fail to realize the promised benefits of e-Gov, i.e., more effective and efficient delivery of services and information to citizens and firms. Indeed, there appears to be an e-Gov differential developing among nations akin to the so called digital divide. This has led some researchers to draw theoretical and empirical parallels between the two (Helbig, Gil-García, & Ferro, 2009). Initially researchers had attributed this e-Gov divide to differences in IT and network infrastructure as well as a variety of national characteristics (e.g., Norris, 2001). However, more recently some authors have persuasively argued that there is more to this e-Gov divide than technology infrastructure maturity and national culture (e.g., Heeks & Bailur, 2007). A growing stream of research points to the potentially significant role of institutional norms and practices in most countries in shaping e-Gov assimilation (e.g., Fountain, 2001). Indeed there is theoretical precedence for this perspective. Hernando de Soto (2000), in his book The Mystery of Capital: Why Capitalism Triumphs in the West and Fails Everywhere Else, eloquently argues that a supportive national climate of governance institutions has been an essential but invisible feature of the growth of capitalism in the Western world. His point is that the developing world has often struggled unsuccessfully with transitioning to mature capitalism precisely because there is inadequate attention to the formation and functioning of the focal national governance institutions in these countries (e.g., Stinchcombe, 1997). Focusing on the IT sector within national economies, King and colleagues (King, Gurbaxani, Kraemer, McFarlan, Raman, & Yap, 1994) in their pioneering research have highlighted the critical role that national governance institutions play in the diffusion of IT innovations. These national institutions of governance are often embedded within individual public or private organizations and also operate at the societal levels (March & Olsen, 1989). They are referred to as the governance ethos or simply institutions of governance in a country (North, 1990). The institutions of governance are defined broadly as “rules of the game” (World Bank, 2002), that both enable and constrain the actions of social actors as they engage in high stake efforts to carry out e-Gov programs. As a result, some researchers have asserted that diffusion and assimilation of e-Gov, as a public sector IT undertaking, is influenced by the national governance institutions in a given country (e.g., Gronlund & Horan, 2004). Therefore, to produce a deeper understanding of e-Gov divide it is essential to study the potential influence of these institutions on the diffusion of e-Gov at the national level across countries. 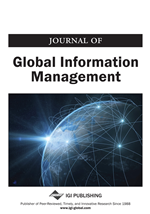 This paper aims to do so and is inspired by both de Soto’s and King et al.’s works: specifically we want to explore the role of the national governance institutions in e-Gov assimilation across countries globally beyond the influence of technology infrastructure maturity and national economic factors. We propose an exploratory framework which casts diffusion as the level of development of e-Gov. We then link the status of e-Gov development to variables which we propose can represent national governance institutions within any country. This framework is inspired by the work of institutional economists (e.g., North, 1990; Campos & Nugent, 1999; de Soto, 2000), and scholars of IT and institutions (e.g., King et al., 1994; Wilson, 2004).